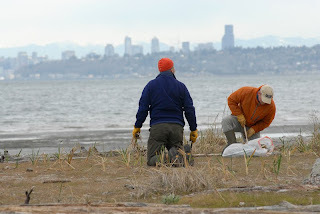 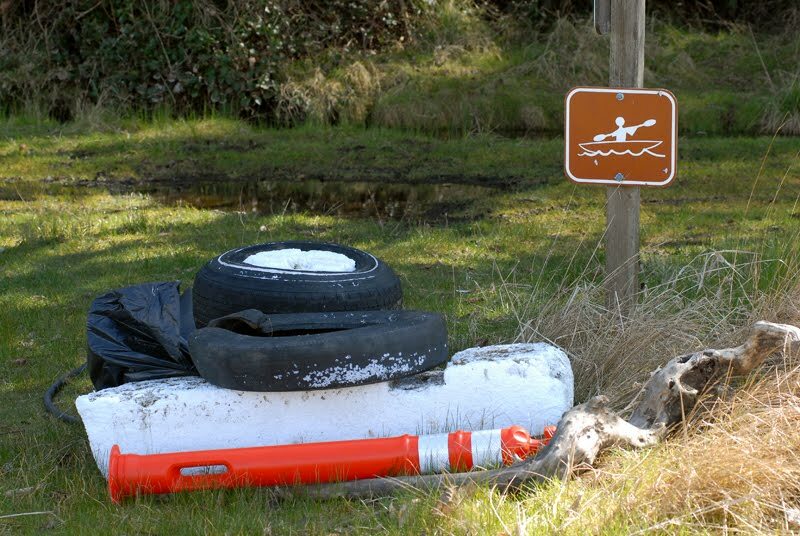 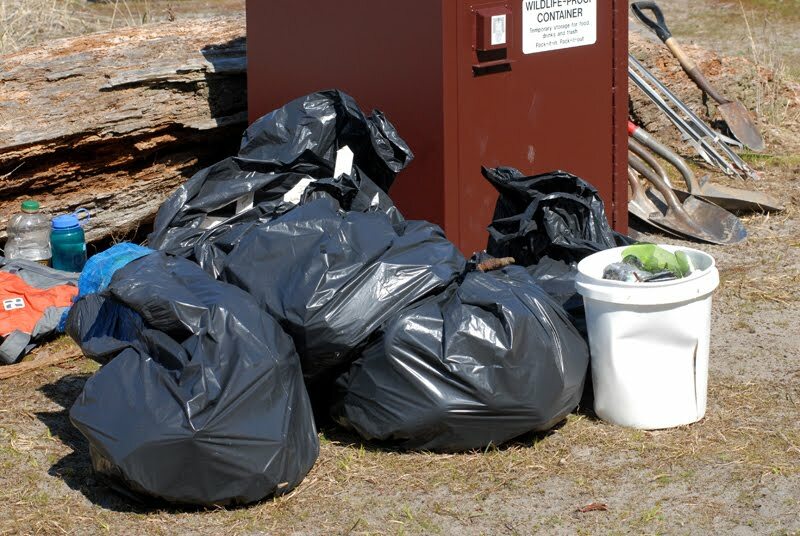 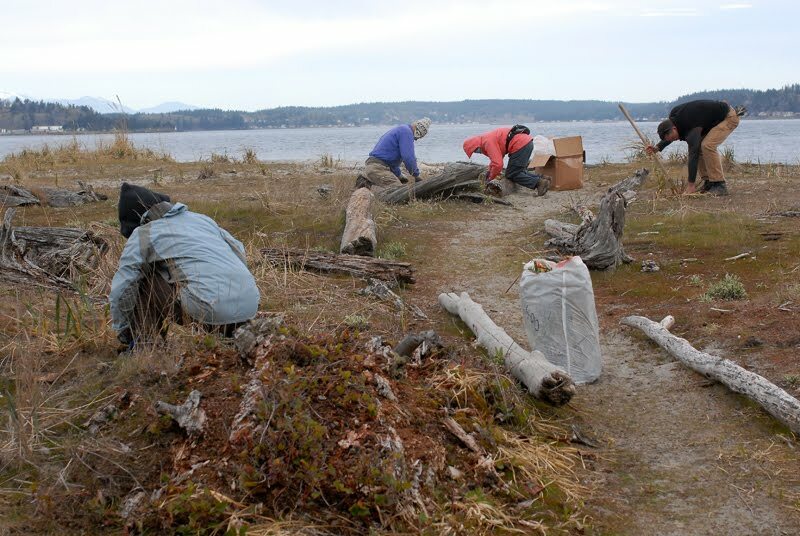 To celebrate the return of spring, we joined up with the Washington Water Trails Association and headed to Blake Island for some campsite restoration and trash pick-up. 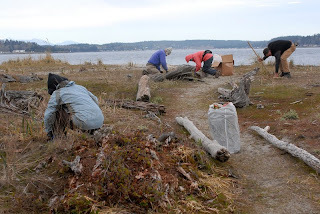 On the northwest corner of the island is a WWTA campsite that is part of the Cascadia Marine Trail and a fun get-away that is surrounded by communities on all sides. 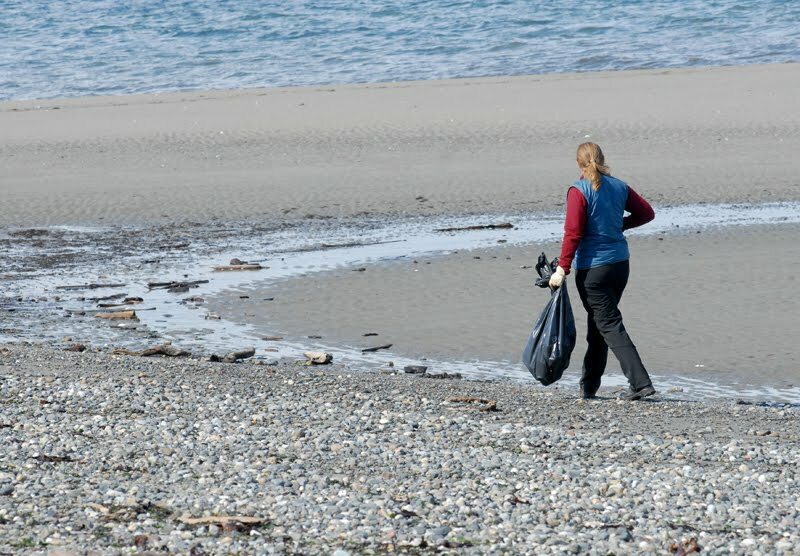 It's a gem of a place but it sees a lot of visits during the warmer seasons and during the winter trash builds up. 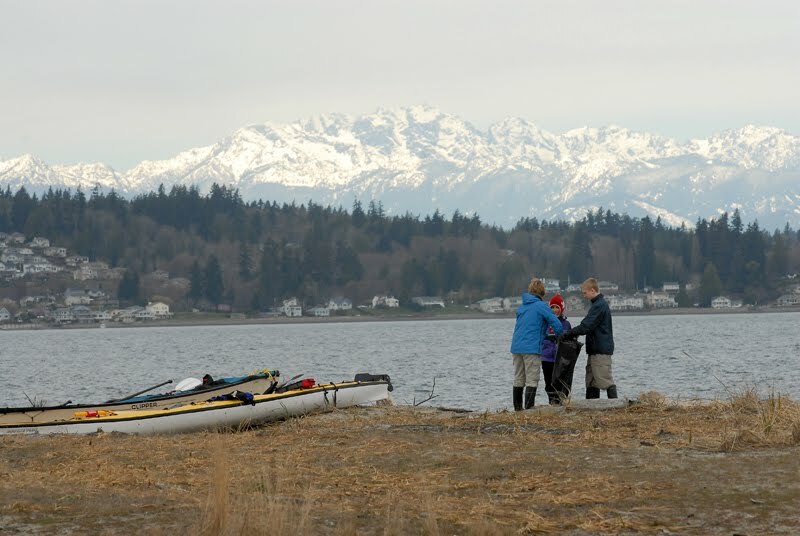 We paddled across to Blake from the town of Manchester to the west. A cool breeze blew all day but the sun made an afternoon appearance. 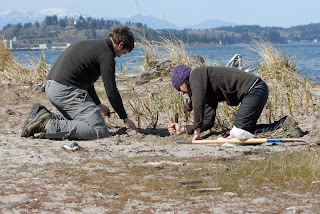 We planted a lot of beach grass near the campsites and it was a great reminder of how much can be achieved by even a few committed volunteers. Onward to more spring weather!